On April 27 and 28, the Circuit de Barcelona-Catalunya will once again host a test of the FIA ​​World Rallycross, which this year will be closer than ever. The World RX of Catalunya presents this 2019 the Hot Wheels RX Stars Race, a test of Carcross with the presence of great local pilots such as Pol Espargaró, Gerard Farrés, Dani Clos and Cristina Guitiérrez. The date of one of the most important events in the annual calendar of the Circuit de Barcelona-Catalunya is approaching: the CatalunyaRX. Five years ago, the Catalan track hosts one of the most attractive motorsport competitions, as it is a very dynamic event due to its competition format. In the World RX of Catalunya on April 27 and 28, 2019 you can see up to 80 different races corresponding to the second round of the World RX, the first appointment of the Euro Super1600 and the RX2, in which Albert Llovera will participate. As well as the support race of the CatalunyaRX, the Hot Wheels RX Stars Race of Carcross. In addition, the southern area of ​​the Circuit de Barcelona-Catalunya will host the first round of the Spanish Drift Championship (Open Slalom Drift). Great stars from the world of Catalan and Spanish motorsport will also compete in the CatalunyaRX 2019. MotoGP rider Pol Espargaró, dakar drivers like Gerard Farrés and Cristina Guitiérrez and ex-F1 driver Dani Clos will climb a Carcross to enjoy a very competitive race. amusing in the rallycross track of the Circuit de Barcelona-Catalunya. Each year the World RX of Catalunya has held a Carcross race to give local pilots the opportunity to compete in the home world championship. This year, he has been given a lap and great drivers from home will also have a leading role. The World RX of Catalunya is more than a race weekend. The Circuit de Barcelona-Catalunya will have a fan zone where you can perform activities related to motorsport, simracing, stores and Monster shows among others. 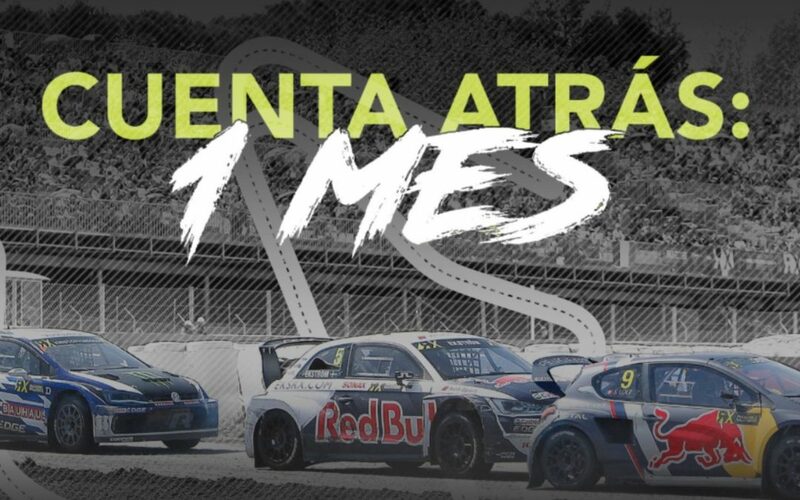 Tickets for the CatalunyaRX are available on the web www.catalunyarx.com from € 30, also with promotions for families, groups, young people and discounts for different groups.